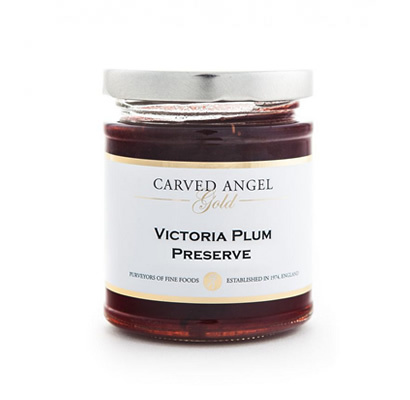 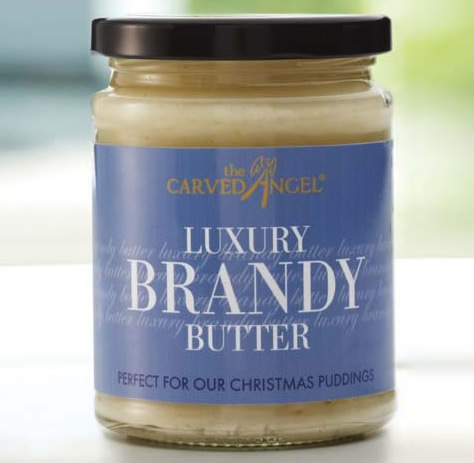 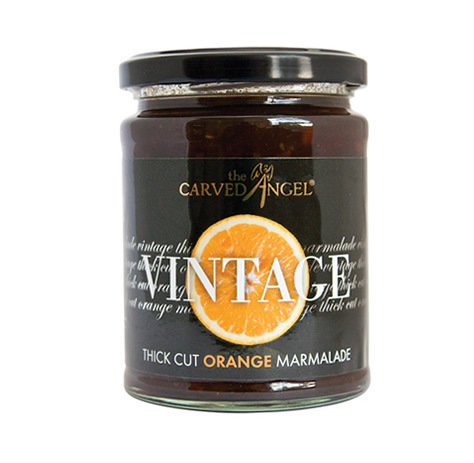 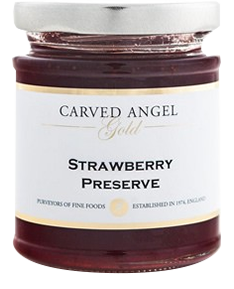 A true Taste of The Carved Angel will be delivered in this fantastic selection of our best preserves from our Gold range. This superb group of jams will be the best present you can offer to a family member, friend or colleague as you know they will enjoy them and after all, who does not like an exquisite preserve at some point of the day? 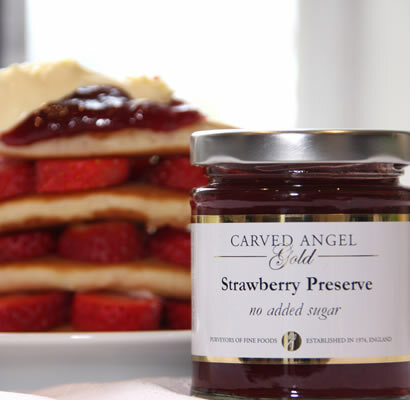 breakfast, tea time or that special occasion scones and jam for Sunday tea! 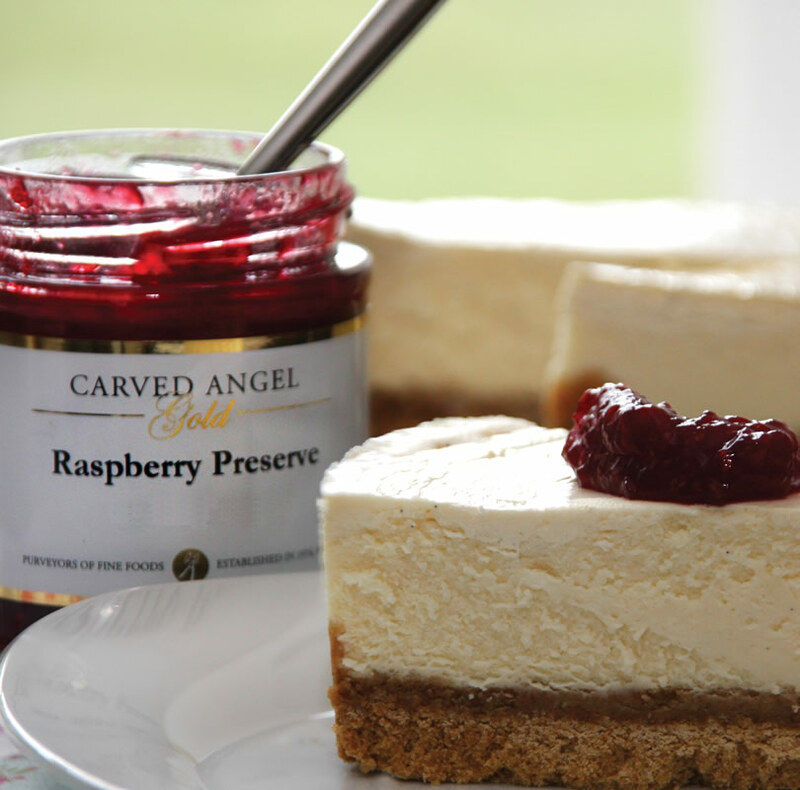 Very British and very unforgetable! 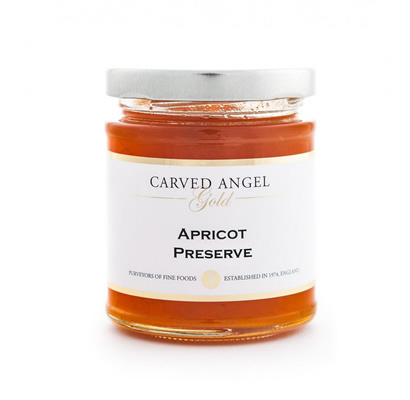 These naturally sweet and succulent jams with their intensely fruity flavour and beautiful texture will simply brighten up waffles, pancakes, croissants, cakes and even the simplest of sandwiches! 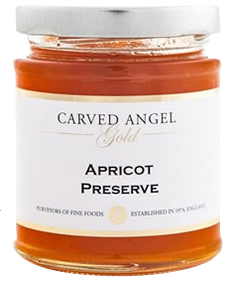 Hand made in the traditional method in copper kettles, each jar is crammed with fruit!